Though aggressive predators, crappie have delicate, paper-thin mouths that are easily damaged, especially if you’re too rough when setting your hook. And as any crappie addict can attest, it’s pretty easy to turn a bite into a miss that way. In fact, one of the easiest ways to improve your odds with these fun-to-catch devils is to select a rod that can help absorb some of the shock in that critical moment, giving you some cushion during the hookset. If you’re wondering what makes an ideal crappie rod, look no further. Below, you’ll find out more about how we select our own rods, as well as reviews of some excellent choices. 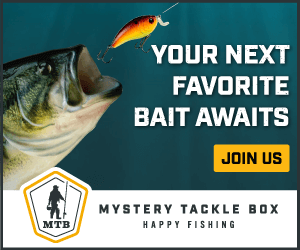 St. Croix Premier Spinning Rods – Our Pick! 2.1 St. Croix Premier Spinning Rods – Our Pick! Good crappie rods come in a variety of lengths, powers, and actions. But they have one thing in common: they help you set the hook gently while still detecting nibbles. A rod’s action describes where along its length it will begin to bend under weight. Fast action rods are stiff for most of their length, bending near the tip. By contrast, slow action rods begin to give closer to the handle and reel seat, curving over a much greater percentage of their length. If you regularly angle for bass, for instance, you probably prefer a fast action, medium to heavy power rod to help set your hook. But crappie have very delicate mouths that are easily torn by hard hooksets; in short, they demand finesse rather than power. For that reason, we recommend an ultralight with a medium to fast action to absorb some of the force that would otherwise be transferred to the fish’s mouth. In our experience, moving to a delicate rod is probably the best thing you can do if you want to target crappie. They provide the cushioned hookset you need while still delivering the sensitivity to detect a cautious strike. Power describes how much force is required to bend a rod. Together with its action, a rod’s power tells you a lot about how it will perform. 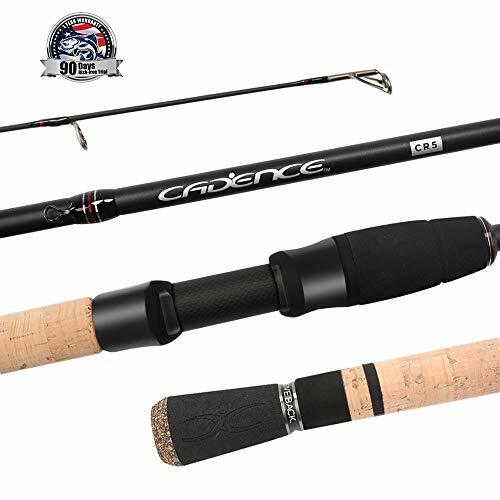 For large fish like tarpon or pike, you need a strong rod to withstand the force of hard strikes and epic fights. And for bass and redfish, you need a sharp, hard hookset to have a chance to land them. But for crappie, even a monster won’t threaten to break your tackle, and you’ll rip the hook free if you set it with much force at all. An important point to consider when selecting a rod for crappie is how its action will work together with its power. Obviously, you won’t be choosing a heavy or medium power rod for sunfish like crappie, but what’s the best choice? Cushioned hooksets – With an ultralight rod featuring a medium to fast action, we get the cushioned hookset that helps us land these finesse fish. Ultralight rods are delicate tools, and they help us avoid tearing the hooks loose from “papermouths,” even when built with a fast action. Sensitivity – Because ultralight rods bend so easily, even with fast actions, they’re incredibly sensitive to every nibble. That’s a huge advantage when the fish are being timid. Fun – I fish for the joy of it, and using ultralight tackle turns every fish into a whale! If you haven’t given ultralight a try, you’ll be pleasantly surprised by how much more fun it is. In an ultralight rod, fast action is fine for crappie. That’s because the rod is sufficiently delicate overall, so the action won’t risk tearing the hook free. For this article, we’ll be reviewing general fishing rods, not specialized gear for spider rigging. Most rod manufacturers don’t make ultralight or light rods longer than 7 feet in length, because that’s about as long as you want to go for casting. Generally speaking, the longer a rod is, the further you can cast with it, but the less precise those casts will be. Shorter rods are deadly accurate, but casting distance will suffer. Ultralight rods tend toward the shorter end, and the reels they’re designed to seat can’t hold much line. They’re not distance demons, but are geared toward precision and finesse instead. If you need to cast for maximum distance, look for rods closer to 7 feet, and consider slightly stiffer ultralights. That stiffer backbone and longer length will help you reach out a bit more. I usually fish for crappie with a rod that’s six-and-a-half feet long, and that’s probably the best length to start with if you’re unsure of your specific needs. The slender, whip-like rods you’ll choose for crappie take light lines and tiny lures. Look for rods designated with line weights between two and six pounds, with lure sizes ranging from 1/64 of an ounce to as much as ¼ to 1/2. Check out our recommendations for the best crappie lures, jigs, and bait. Big crappie may not be monsters, but the line you’re fighting them on isn’t steel chain, either! With line weights in the range of two to six pounds, you’ll need excellent guides to prevent friction and damage during a fight. Now, you may be thinking that crappie really can’t put your rod’s guides to the test, but take a look at the video below. It doesn’t take much friction and heat to break even robust line, and I guarantee you that low-quality guides will lose you more than one fish! The best way to test guide quality is also demonstrated below. Just try sawing the line you use against a large guide. If the line breaks quickly, that’s a sign to give that rod a pass. Modern fishing rods can be made from a variety of materials, including carbon fiber, graphite, and fiberglass. Some feature composite construction, using more than one material in the blank that provides their backbone. Graphite is strong, stiff, and ultra-light. Due to its high stiffness, it’s also quite sensitive, and it makes a great, durable choice for a rod. Fiberglass is heavier than graphite, and usually less expensive. It’s not quite as sensitive or as stiff, but it can be incredibly strong, earning it a place in your angling arsenal. Especially for crappie, this is not necessarily a disadvantage, as cushioned hooksets are ideal. Carbon fiber is the stiffest, strongest, lightest, and most expensive material used for rod blanks. Its performance is unparalleled, but so is its price! Much about which handle to choose is a personal decision, and what’s comfortable to me may be misery for you. Generally, there are two primary handle materials: cork and EVA foam. Cork is warmer and more attractive, but less forgiving of rough treatment. EVA foam is softer and cooler to the touch, and it’s pretty tough stuff. Whether you choose a spinning reel, a baitcaster, or a closed face reel–like the tried-and-true Zebcos–is largely a matter of preference. Each has its advantages and disadvantages, but any quality reel will do its work admirably if you care for it. It’s important to match the reel size to the rod you select, keeping in mind both the balance of the rod in your hand as well as the size of the line you’ll be casting. Mismatches will still function, but you won’t get the performance you’d like from them. Most crappie anglers prefer spinning reels, and thus most rods are built to accommodate that style. Check out our reviews and buying guide for choosing a reel for crappie fishing. Lure size: 1/32 oz. to 3/16 oz. St. Croix’s rods are quickly outstripping their premium competition, including the trusted Fenwick name. That’s not because Fenwick’s rods aren’t excellent–they are–but rather because St. Croix just keeps getting better and better. If you’ve got the money to spend, this is probably the best crappie rod on the market. The Premier ultralight features a fast action, and as a combination, they provide the sensitivity you want with the cushioned hookset you need for “papermouths.” Strong, supple, well-balanced, and light, this rod is everything you’re looking for. Bass, panfish, crappie–this rod can handle them all with no worries, and your line will break long before it does. The premium-quality aluminum oxide guides will pamper your line. In our view, these are among the best available. Casting is outstanding with this rod as well, irrespective of lure size. Quality cork furnishes this rod’s long handle, and you’ll find plenty of room for even the biggest hands to cast comfortably. If you prefer split handles, and some anglers do, you might look to the Fenwick as the most capable alternative. If you’re willing to pay for an awesome rod, the St. Croix is very hard to match. Lure size: 1/32 oz. to 1/4 oz. Bass Pro Shop’s house-brand ultralight rod is an excellent choice for small species like crappie. Economically priced, you get a lot for what you pay. The six-and-a-half-foot ultralight we prefer is available in fast action, but due to the rod’s power, offers a fantastic combination of sensitivity and finesse. Simply put, it’s pretty hard to rip a hookset with a rod that bends like a whip! I own and fish with this rod, and I find that it casts very well, even with 1/32 and 1/64 ounce lures. It’s been sensitive enough for me to feel the lightest strikes, too, and it can handle some respectable large and small mouth with aplomb. The cork handles are smooth, comfortable, and spacious, providing plenty of room for anglers with big hands. They’ve stood the test of time for me, and I’ve heard no complaints from others. Some anglers, though, have found that the guide quality has suffered in newer models, especially when using tough fluorocarbon line. The result is that the guides have been notched by friction, rather than the line breaking, however. I typically fish mono for crappie and panfish, and haven’t used fluorocarbon on my Bass Pro rod, and I’ve experienced no trouble at all. Guide quality issues with fluorocarbon? 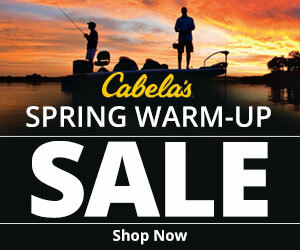 Cabela’s Fish Eagle rods, like Bass Pro’s, are a store-brand with a lot going for them. Priced to fit most budgets, these are excellent angling tools, easily comparable to more expensive rods. 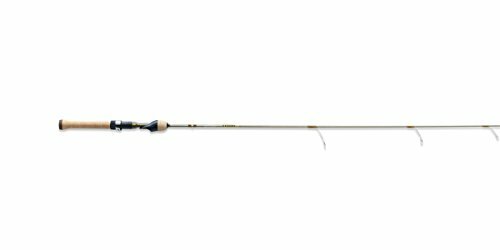 The six-foot ultralight we prefer is a bit stiffer than the comparable product from Bass Pro, performing a touch more like a light power rod. In fast action, it’s sensitive while still offering plenty of backbone, but that stiffness is both a blessing and something to consider. Of all the options we review, this is the one to be most careful with on hookset. The trade-off is that you’ll find this rod super-sensitive and more than up to the task of landing heavier, stronger fish than crappie. Casting is outstanding with all reasonable sizes of lure, too. Guide quality is excellent; expect no problems there. The Fish Eagles come equipped with a long, comfortable, quality cork handle. That’s especially useful if you use this rod for larger species like bass, for which it’s more than capable. If you’re on a tight budget, this might be the rod to choose, and I wouldn’t hesitate to select this rod for crappie. Lure size: 1/32 oz. to 1/8 oz. The CR5 is a serious rod at a bargain price, and if you’re looking for a dedicated crappie rod, this is a great choice. Due to a combination of length, action, and power, the CR5 will provide the soft hookset you need for crappie. Moreover, the moderate action allows the use of very light lines under high stress. The rod will flex along much of its length, absorbing force that would otherwise simply be transferred to your line. The CR5 ultralight is also strong, and catching fish larger than crappie should be no problem with this rod. That said, the same moderate action that makes it a crappie killer is perhaps not ideal for other species. Guide quality is excellent, and the handle is of premium quality and excellent length. 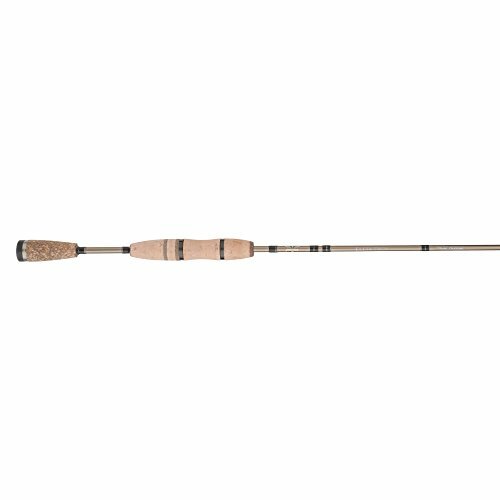 Overall, this is a strong contender for our top spot and a fantastic rod for crappie. Fenwick’s rods are legendary, and if you pick one up, you’ll know why. Among the most expensive of the options we’ve reviewed, you can be sure that you’re getting premium quality for your money. The River Runner ultralight features a fast action, and like many of the other rods reviewed, this combination of power, action, and length works well for cushioning hookset with crappie. Like the Bass Pro and Cabela’s rods, Fenwick’s offering casts like a dream. It’s also plenty strong, and you should feel confident putting it to the test with pretty much anything that takes a lure intended for crappie. Its titanium guides are about as good as they come; expect no trouble here. If you’re a fan of split handles and high-end cork, the Fenwick has you covered. It also offers a unique rod seat design that encloses the mechanism, yielding a continuous cork grip. That’s a nice touch, and we really like that feature. As is evident from our top choice, St. Croix makes outstanding rods. If you’re looking for that same incredible quality, but can’t or won’t spend quite that much money, you may want to take a look at this option. This nearly seven-foot-long single piece rod is a great choice for crappie, and you’d be hard pressed to find a better rod for the price. The Panfish Series ultralight features a fast action, though it could perhaps be better described as medium fast. Sensitive and shock-absorbing, it’s a good choice for crappie, as it will help soften your hooksets while still giving you the feel you need to detect light strikes. Overall build quality is excellent, too, and these rods clearly deserve the premium reputation they’ve acquired. Guide quality is what you’d expect at this price point: smooth, strong, and well-engineered to preserve even the lightest line in a hard fight. Personal preference varies, but I find the handle a bit short. That notwithstanding, the cork Cadence uses on this rod is top-notch, and many will find the design fits them perfectly. Our only reservation in recommending this rod is that it comes as a single piece, making storage and transport a bit cumbersome. The competition between these options is as fierce as it gets, and any of these rods will serve you admirably in your hunt for crappie. Indeed, these rods are so closely matched in performance and quality, that with the exception of handle style and length, you probably couldn’t tell a difference between them in real-world performance. Our top choice, the awesome St. Croix Premier ultralight, is just a hair better than the rest, but its quality and capacity set the standard against which all others should be judged. Supple, sensitive, and strong: these are words that can be defined by the Premium. And its superb guides and excellent handle complete a package that probably outcasts and outlasts its alternatives. But if you’re looking to spend less, take a close look at Bass Pro’s Micro Lite, Cabela’s Fish Eagle, and Cadence’s CR5. While not premium options, they’re affordable, excellent choices. Whichever you choose, you won’t be disappointed! The Rubik’s Cube seems to be an impossible puzzle but it’s easy to solve using just a few algorithms.